March 10th in Plugin Lists, Wordpress Plugins by Wordpress Jedi . 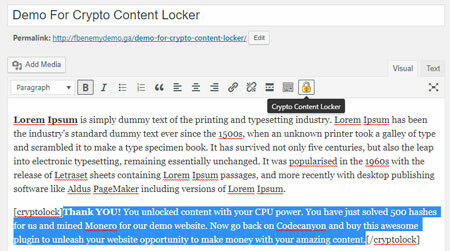 Crypto Content Locker: lets you lock your premium content and give access to users after they solve some hashes for you. WP Monero Miner: is Monero your thing? This plugin lets you earn money from your visitors by using their computer power. It has configurable CPU and speed settings. 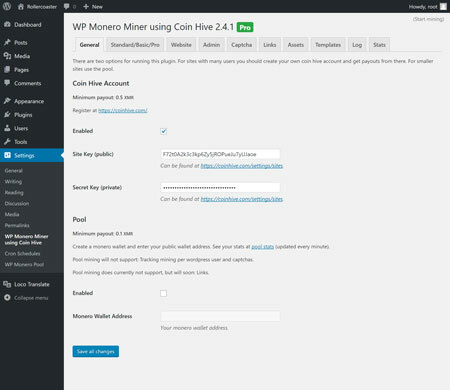 Have you found better cryptocurrency miners for WordPress? Please share them here.